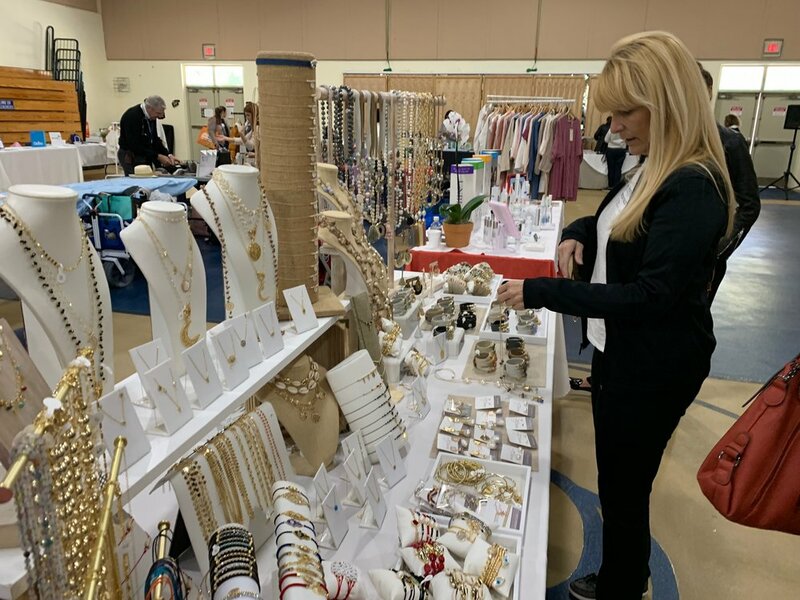 Sure, there is Amazon, the mall and a million other stores out there for holiday shopping, but if you want something unique that supports our local community and economy, you should add the Alexander Montessori School (Palmetto Bay campus) Holiday Bazaar to your patronage list. On November 28th, the Alexander Parents Association brought back the Holiday Bazaar after a five-year hiatus due to great popular demand. President Carmen Contarini and Treasurer Ainsley Hetenyi proudly greeted people at the door to shop among 30 unique and vetted vendors. The all-day indoor event had several purposes. It served as a small fundraiser for the school, it allowed local vendors to show their wares to local people and, most importantly, it helped the four-campus Alexander Montessori School community to get to know each other a little better and establish stronger community. In the large multi-purpose room, one could find lots of cool gifts: a handmade python-skin handbag with a beautiful stone adornment, customized jewelry, a booth that takes your kids artwork and puts it on leggings, tote bags and T-shirts, handcrafted beauty products, customizable kids wear and toys and more. One booth really blew me away. They take full-body photos of your family and print them on figurines, posed exactly how you want. It is eerie and amazing at the same time to see yourself in mini-me form. Besides the shopping, there were sponsored events like Coffee & Tea with Mrs. Beverley McGhee (the school owner brought her own silver serving pieces from home! ), morning mimosas, a Wells Fargo speech on college savings, a Lunchology-sponsored discussion on how to get kids to eat healthy and Headmaster Joyce McGhee gave a lesson on motivating your kids to read. Everything was geared to have people spend interactive time together and foster community. With hundreds of shoppers over the course of the day, the event was deemed a huge success. They plan to repeat it for next year, so put in a reminder to look for it in November 2019. If you wrote a book on Miami history, one chapter could easily be dedicated to the Alexander Montessori School. Started by Beverley Alexander McGhee in 1963 as a response to her husband who believed her place was at home being a mother. 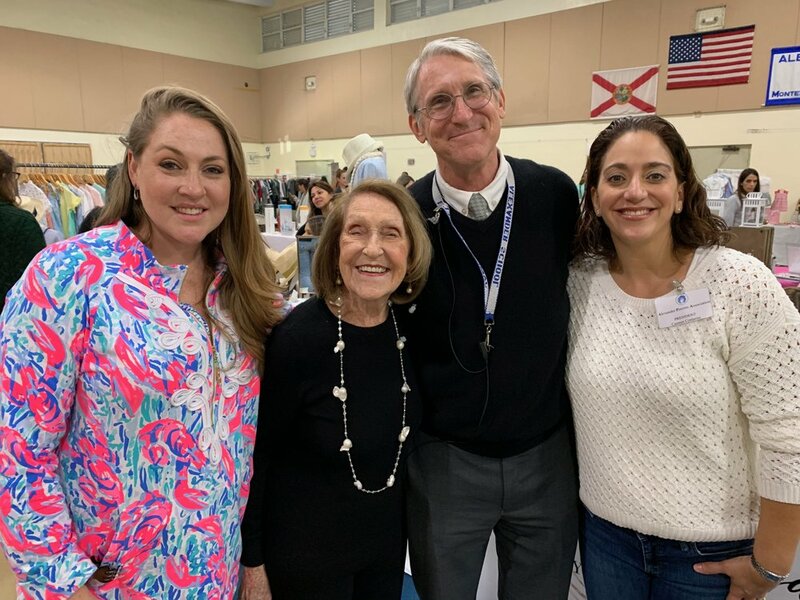 Before having kids, Beverley had taught in the Dade County public school system desperately wanted to be able to be with her kids and continue to teach. As it turned out, she got to do both. Her sons James and Alexander were her first students. And the rest is history. Beverley attended the Bazaar and smiled as she walked around to greet everyone. She is still in great physical shape and sharp as a tack, perhaps it is the strong will to educate. Now, with four campuses, Beverley has shifted focus to her Montessori Teaching Institute where she teaches other teachers. As part of the deal, each vendor from the Holiday Bazaar donated one item for the silent auction that will take place during the school’s April Gala. The Gala celebrates two important dates: the 55th anniversary of the school and Beverley Alexander McGhee 90th birthday.